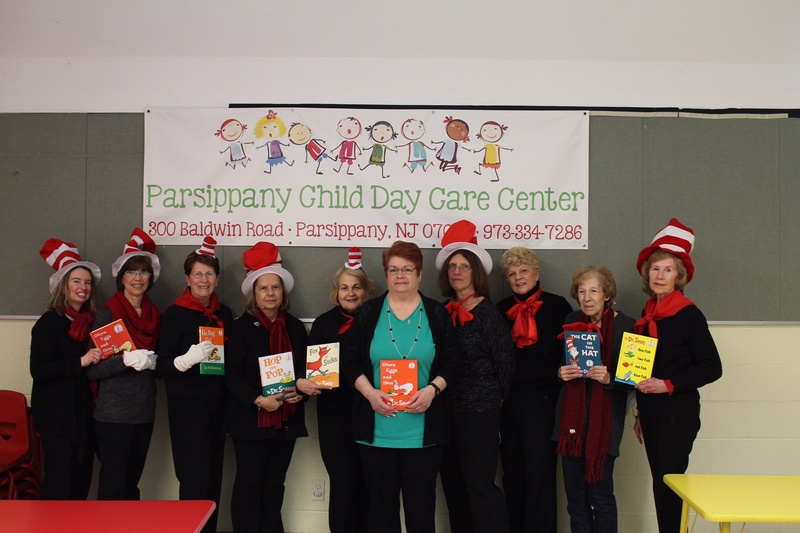 Club members turned into Cats in the Hat to celebrate Dr. Seuss’ birthday with the children at the Parsippany Child Day Care Center on March 4th. The National Education Association “Read Across America Day” is a nation-wide reading celebration that takes place annually on March 2nd, Theodore Geisel (aka Dr Seuss) birthday. WCPTH observed this celebration by reading to the children on March 4th. In addition to reading to the children, the club also donated three “board books,” activity items and snacks. The club also donated a Dr. Seuss book to each of the three branches of the Parsippany Public Library system. Women’s Clubs nationally are recognized with founding 75% of the nation’s libraries. All these education-related projects are made possible. By funds raised at the club’s annual “Tee off for Education” Golf Classic, which this year will be held on Tuesday, July 14th. Contact Marilyn for more information on this fundraiser: 973-316-5774.